Handle-Flared / Shakehand / Long Handle. Blade Ply-5. Front Side Rubber-Red 8484 Pimples In. Reverse Side Rubber-Black 8484 Pimples In. 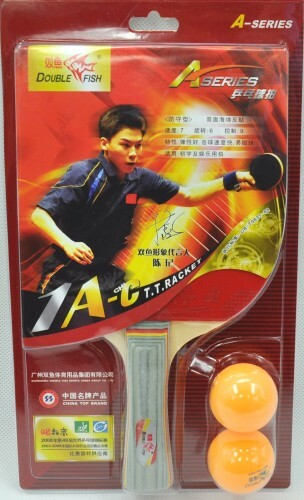 Characteristic-high elasticity, fast speed while hitting, easy to control.